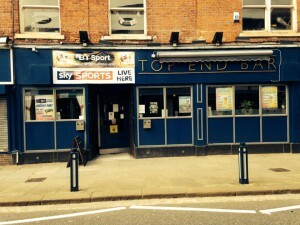 Top End Bar is situated at the top end of Stamford Street Central in Ashton Town Centre. Come along to our friendly, warm and welcoming pub where you can enjoy good quality beer and at cheap prices. 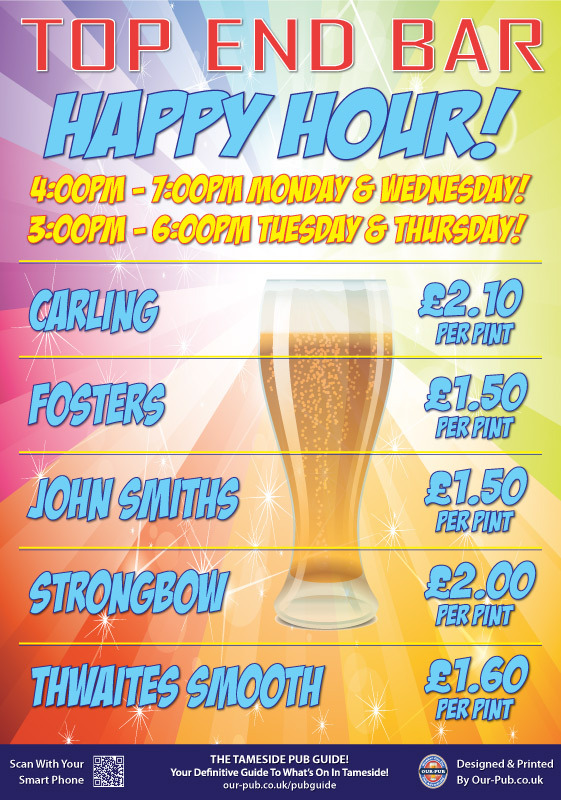 Prices starting from £1.70 a pint during Happy Hour. 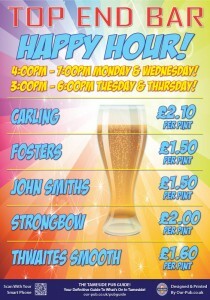 Happy Hour- Monday’s and Wednesday 4-7pm and Tuesday’s and Thursday’s 3-6pm. 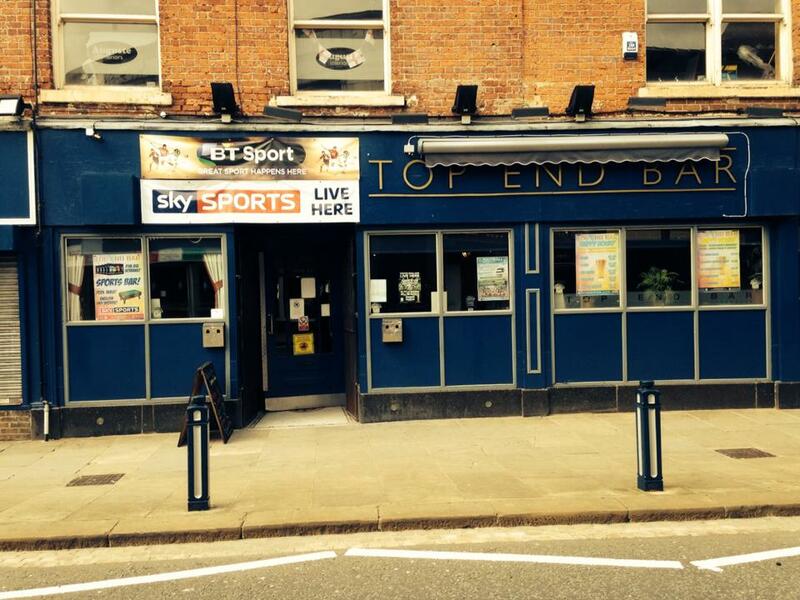 BT Sport and Sky Sports available where we show all football games on 7 screens. A variety of beers, wines and spirits available at good prices including double up for £1. 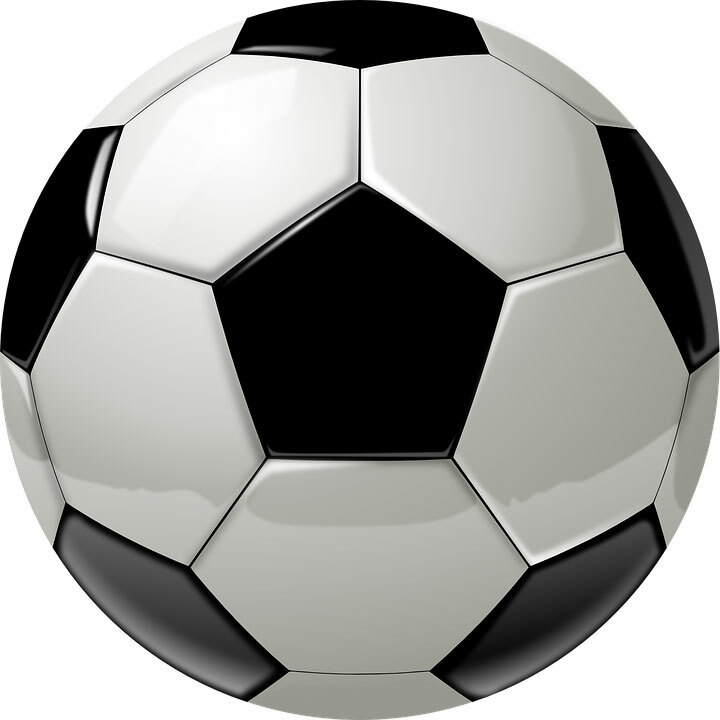 Why not come along and see for yourself!